Every December, designers of all creeds impatiently wait for Pantone's (the world leader in color) announcement of its new color of the year. Whatever color is announced is present in all the fashion and decor of the following year. For 2013, Pantone® chose emerald as its color of the year. "Most often associated with brilliant, precious gemstones, the perception of Emerald is sophisticated and luxurious. Since antiquity, this luminous, magnificent hue has been the color of beauty and new life in many cultures and religions. 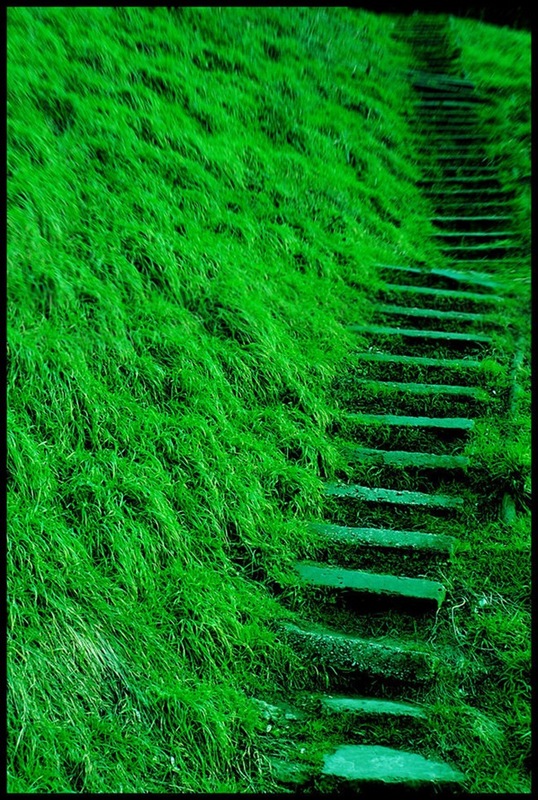 It's also the color of growth, renewal and prosperity - no other color conveys regeneration more than green. For centuries, many countries have chosen green to represent healing and unity." What rooms of the house would use emerald at its best? The kitchen, for one, is one of the best places to use shades of green. Thinking of redoing your backsplash with a pretty mosaic (all the rage these days)? Choose one that uses emerald in its color scheme, along with other warm shades of green and yellow. If you need to add to your dinnerware, emerald is a good color choice. Not only will it make your food look more appetizing, but it will also add a dash of sophistication to your table. Green dinnerware will look great on a white tablecloth, but will work just as well with yellows, grays and even turquoise. For the more daring, an accent wall in emerald will do wonders for your kitchen or dining room. It will inspire calm and bring back nature to meal times. Emerald can be used in different moods and styles, depending on the colors it's paired with. To enhance the sophistication of emerald, use it with neutrals like gunmental, pewter and beige. Paint an accent wall in emerald with a grey couch in front of it, along with emerald accessories all over the room. Emerald can also bring you back to your childhood's country cottage. Remember that old dark green couch that squeaked every time someone sat on it? Paired with colors such as red and blue, emerald inspires the quiet and "old but loved" feeling of the country cottage. Green, red, blue and yellow are typical colors of the traditional tartan; use this to inspire a decor that gives you a sense of heritage. As an accent color, emerald works well with brown, burgundy and warm yellow. It adds a daring splash of nature-inspired color to any neutral-based decor. Another room where green has a great place is the bathroom. Along with shades of blue and gray, emerald will bring a instant touch of freshness and sophistication to the bathroom. Keep the blues muted and mixed with gray, and use emerald as an accent in the backsplash or shower tile, with plants (I love to add one of those small potted bamboos on the counter) or with hand towels. Emerald is a great color for your soap tray-glass-toothbrush holder kit. I like to use these accessories to change the mood of my bathroom periodically, without spending a fortune. If you add a shower curtain that uses emerald, you can transform your bathroom for less than $100. It's easy to add a dash of emerald in your bedroom, especially if your decor already uses neutrals. Emerald bed linen, a few cushions or even a new coat of emerald paint on your furniture will give your bedroom a dash of sophistication or of nature, depending on your style. A potted plant with dark green leaves or emerald curtains will make any bedroom feel more organic. If you want to go all in and redecorate, using emerald as a main bedroom color is a great choice if you value calm, healing and renewal. No wonder green is a popular color in hospitals! (Not that we want your bedroom to look like a hospital room.) If you decide to plant your walls in emerald green, keep one of the walls in a neutral beige to avoid the "oppressive forest" feeling. Use colors found in nature, like brown and sand as accents. A few pops of bright colors like pink, blue and yellow will remind you of flowers growing on the forest floor.